Feel confident that your valuables and firearms are safe and secure but quickly accessible when needed. The biometric lock provides greater security with no combinations to remember. The biometric reader is easy to use and program. Accepts up to 28 different fingerprints. Door opens automatically when locking mechanism is released. Holds standard size pistols and other valuables. 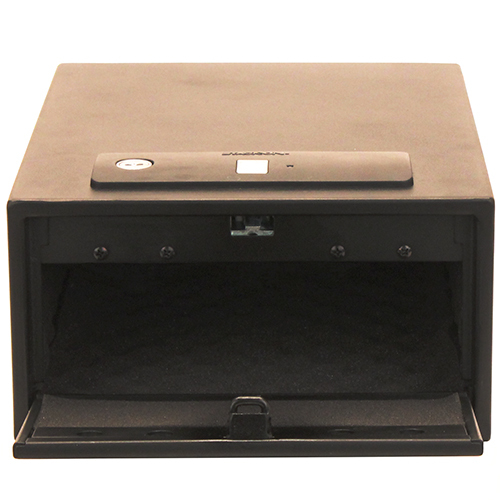 To open the safe using a recorded fingerprint, you press the START button. Slide a recorded finger across the scanner and the safe door will open. 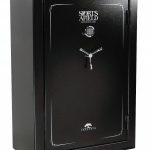 There is a keyed lock on the top for installing the batteries and for a backup to open the safe. – Foam padded bottom to protect contents. – Holds standard sized pistols and other valuables. 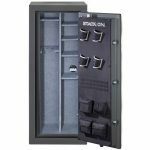 – Fastening hardware is included with each safe. – Safe has pre-drilled holes for mounting to floor or a shelf. 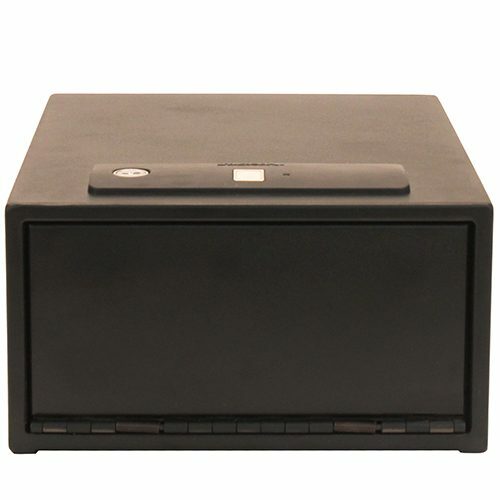 Be the first to review “Stack-On Quick Access Safe Biometric Lock, Black” Click here to cancel reply.